Calling all relatives of Holocaust survivors and victims: you may be familiar with our Generations Speaker Series, but did you know that this is actually a part of our larger Generations group? The Holocaust Center of Pittsburgh’s Generations program brings together family members of Holocaust victims and survivors to learn from one another and keep their family stories alive. 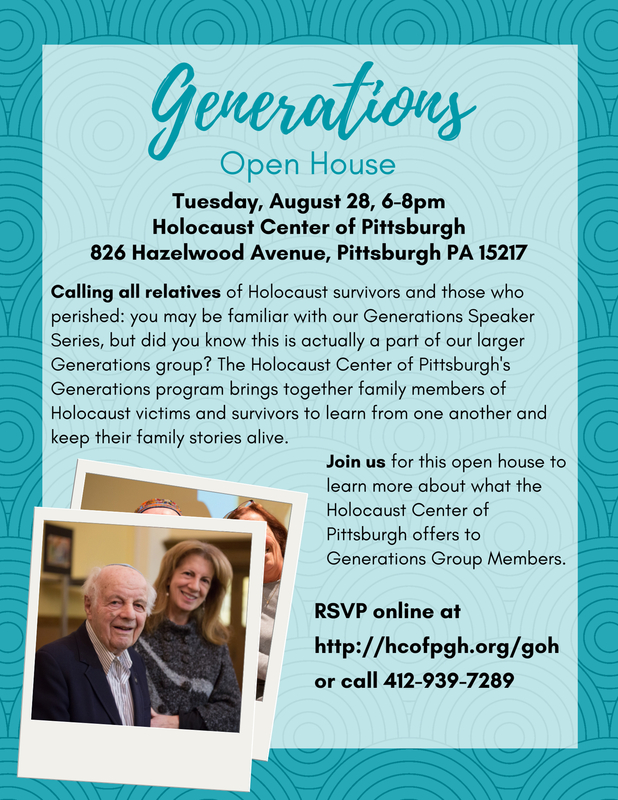 Join us for this open house to learn more about what the Holocaust Center of Pittsburgh offers to Generations group members. To learn more about the Generations Speaker series, click here.